In this day and age, everyone wants results quickly, and customer support is no different. Studies show that when the average customer needs help, they prefer to use a live chat service as opposed to calling customer support over the phone. Beyond making your customers happy, live chat services provide many other benefits. Whether your company is big or small, people expect to get in touch with your customer service department when they need help. Most large companies use call centers that handle inquiries during normal operating hours. However, this is costly in both startup and per-hour fees for small businesses. 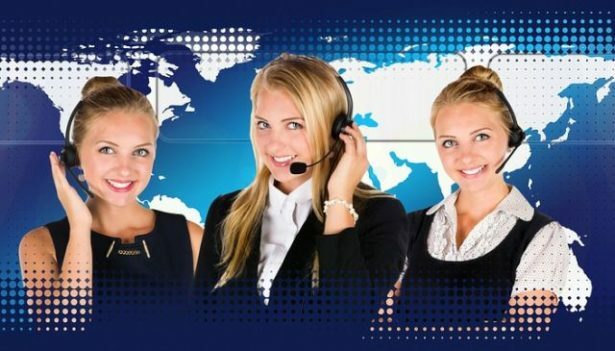 Live chat allows operators to support multiple customers at once. In most cases, it's nearly 30 percent cheaper than hosting a call center. Studies show that customers who use live chat are nearly three times more likely to make a purchase on your website versus those who don't. Live chat helps your company generate sales and leads. When your customers have questions, they can quickly interact with representatives who know what they're talking about. Removing doubt is key in making the jump from just customers adding items to their shopping carts to actually checking out. How often does customer service get bogged down with answering repeat questions? Live chat systems make it easy and quick for employees to answer them with pre-written messages. It also provides more time to answer questions that require in-depth responses. This makes it easier for customer service to help more customers so that they don't have to wait forever to talk to someone. Businesses can never be too careful with customers' private information. When giving sensitive details such as credit card numbers, they put their trust in the reps who record the information. With call centers, it's possible for others to overhear these details. The more people who hear sensitive data, the more likely it is to fall into the wrong hands. With live chat, however, the only person who sees the data is the person who helps each customer. Because of that, it minimizes the number of people who can hear or see the data that your customers provide. Live chat makes it easy for people to communicate clearly. How often do people call customer service centers only to have trouble understanding the person who's helping them? Live chat eliminates this by making it possible for people to see what the representatives say. Less confusion makes for much happier consumers. Live chat provides a high satisfaction rate among customers and costs less than other customer support alternatives such as call centers. When using live chat to help customers, companies have nothing to lose but a lot to gain. No recommendations for chat apps? So many to choose from it really comes down to a company’s needs and budget for what they want. Our company is using Proonto right now, and they have a free version that’s working pretty well and has quite a bit of features available. This is really an interesting and amazing post. It’s really helpful for us. Thanks for such a great information.